Keeping the Java series, here is more one Java Code for ODI. we are using three different source tables ,you can change them and provide any number of Source datastore in the array and accordingly n number of the Dataset are created. For n number of the source database , n-1 number of the Operator needs to be provided. 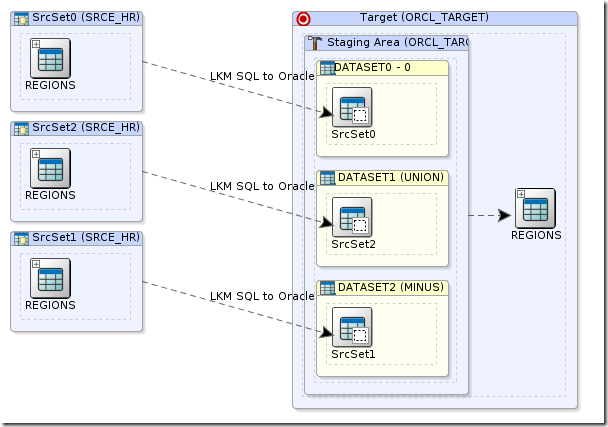 For example if there are 4 different source datastore , then 3 operator need to provided which can be same or different depending on your requirement. As you know, comments are always really welcome! Good to see you here. I am using yellow interface as source in other interface to enable it as table, “USE TEMPORARY AS DERIVED TABLE(Sub-select)” is grayed out…. 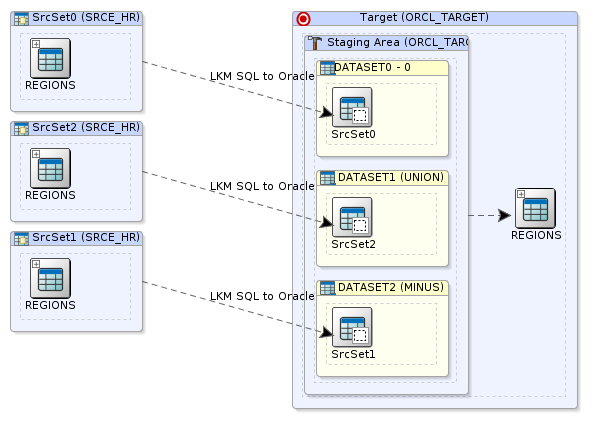 my source and target are in different data servers is this the problem? if how can i achieve this.. Thanks for sharing, very informative. Thanks for the article. Its really helpful. I am wondering if you can do an article on creating Load Plans through scripts. Is it possible and if yes then how do go about this ?